Provide comfort for the family of Maryann Creighton with a meaningful gesture of sympathy. Maryann Creighton of Buckingham, PA passed away on Monday, December 3, 2018 in Doylestown Hospital, Doylestown, PA. She was 76. Born in Philadelphia, PA to the late George and Mary (Laughlin) Russell she resided in Buckingham, PA since 1974. She was the beloved wife of 52 years to James G. Creighton; devoted mother of James C. Creighton, Maryann Hendricks and husband Jason; loving grandmother of James, Brooke, Gavin and Haley; loving sister of Eleanor Leary and husband John, Peter Tweers, Patrick Russell and the late George Russell. 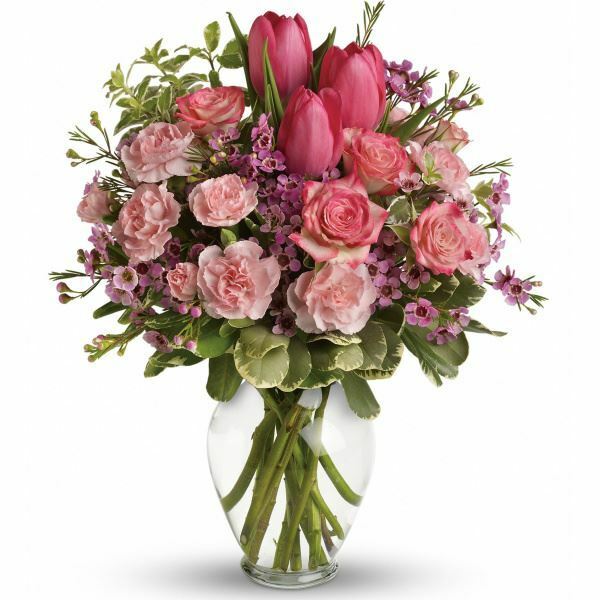 To send flowers in memory of Maryann Creighton, please visit our Heartfelt Sympathies Store. Krisy Paredes sent flowers to the family of Maryann Creighton. Maryann, her Mother's namesake, is my oldest friend. I remember sleepovers at her house, Summer's in the pool, and how kind and welcoming her Mother always was. Once, she let us put on a singing production in the family living room for her! I also fondly remember a weekend trip to the beach and Washington D.C in our teen years. I was always kindly welcomed along on this trips, weekend stays, and family dinners. Mrs. Creighton, Maryann, will be sorely missed by her husband, children, grandchildren, and all who knew her. Krisy Paredes purchased flowers for the family of Maryann Creighton.